If you take a daily vitamin, why not try a dose of fish oil? 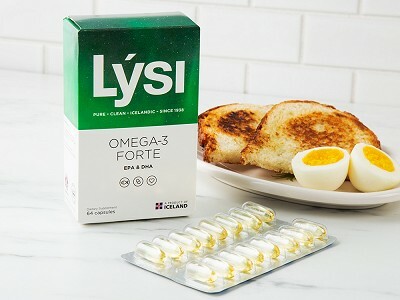 Icelandic cod liver oil and omega-3 fish oil from Lysi deliver healthy benefits with each teaspoon (or capsule) and it all goes down smoothly. No, really—there’s no fishy taste here, just light lemon and lemony-mint flavor. You can even put it in cold foods, like salad dressings or smoothies. The oils are packed with omega-3 fatty acids, which are essential to good brain, heart, and joint function—and are something grown-up and kid bodies need but don’t produce. 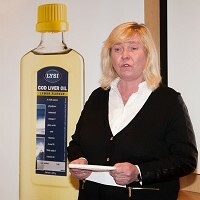 Katrin Petursdottir is leading the third-generation family business based in Iceland, where the cod liver oil is sustainably sourced, and where all the oils are refined and bottled. 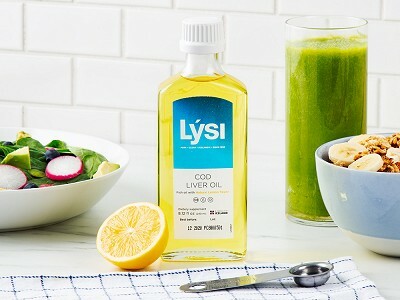 Lysi has been working with fish oils since 1938 and continues to be the gold standard of freshness and quality. Take a spoonful and we think you’ll see why. What is the difference between the liquid versus the capsule? Liquid cod liver oil contains much higher doses of EPA and DHA than most capsules, and your body can also absorb it more easily. Our bodies can only absorb roughly 45%-55% of the nutritious benefits of a capsule, whereas we can process 98% of the benefits in liquid form. What is the difference between the cod liver oil and the omega-3 fish oil? 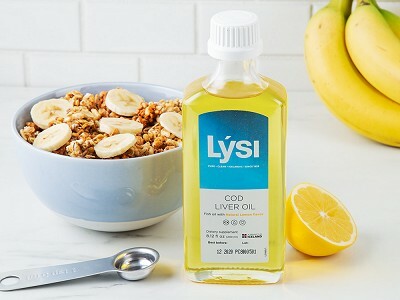 Cod liver oil is more balanced with omega-3s and vitamins, whereas the omega-3 oil is a power-packed-punch of omega-3s without the additional vitamins. It depends on you want to add to your diet. If you want balance, take the cod liver oil. If you already take vitamins and want to focus on omega-3s, then take the omega-3 fish oil. Why does fish oil make me burp? If your omega-3 supplements are hard for your body to digest, then it creates excess gas which can lead to burping. Capsules, while convenient, can be much more difficult for the body to absorb and digest than liquid. In order to minimize fish burps and nasty aftertaste, you need to be taking a high-quality omega-3 product. This ensures that the purity of the oil is at optimal levels and that contaminants have been carefully removed. 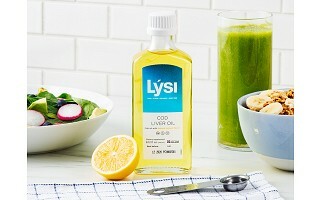 The recommended daily serving size of Lysi omega-3 liquid is one teaspoon. Each teaspoon contains 1100mg – 1600mg of omega-3s, as well as vitamins A, D, and E. Consult with your health practitioner before exceeding the recommended daily dose. When should fish oil be taken? It's recommended to take fish oil during a meal, preferably not directly before your workout. 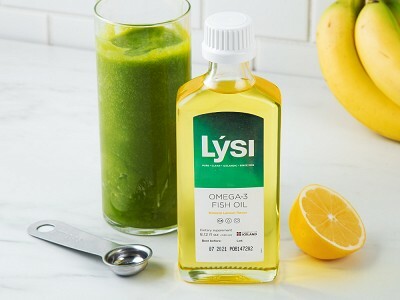 High intensity workouts directly after taking omega-3s can lead to indigestion, so give yourself time to digest Lysi products before hitting the gym.